On January 30th, under the slogan Jump to the Nature!, the GR – Ljubljana Exhibition and Convention Centre is opening its door to the 30th main touristic fair in Slovenia, the Alpe-Adria. It is a show for travellers, sportsmen, alpinists, hikers, active recreational participants, joggers, cyclists, nature adrenaline sports fans and similar; this year, as a novelty, also for camping and caravanning enthusiasts. As every year, the GR – Ljubljana Exhibition and Convention Centre will present the Jakob Award for Excellence and Quality in Tourism at the Fair opening ceremony. 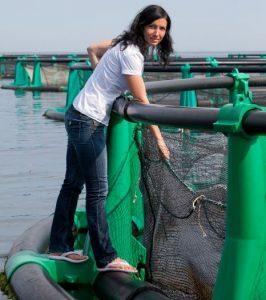 The Jakob 2019 on the theme The New Sustainable Forms of Hunting and Fishing Tourism and the Wildlife Observation in its Natural Environment will go to the project An Unforgettable Day at the Fonda Fish Garden of the company Fonda.si from Portorož. 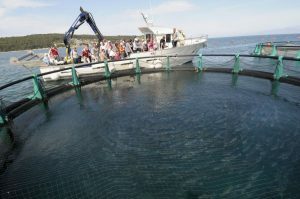 The project the Unforgettable Day at the Fonda Fish Farm has been recently ranked among the top ten experiences branded Slovenia Unique Experiences, confirmed by the Slovenian Tourist Board (STO). The 5-star experience under the name Slovenia Unique Experiences is positioned as a collection of unique authentic premium quality experiences that support the story of the brand I Feel Slovenia and Green Boutique Slovenia for 5-star Experiences. After several years of absence, motorhomes and caravans are returning to Ljubljana, to the GR – Ljubljana Exhibition and Convention Centre. The vans, motorhomes with sleeping decks, semi-trailers and trailers of the latest models will be on display. The initiative of the Network of Motohome Stopovers in Slovenia, the Caravanning Club of Slovenia and the Avto-Dom Magazine, specialized media for camping and caravanning, will also present themselves. 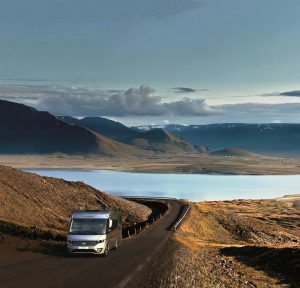 On the opening day on January 30th a conference on the development of motorhome tourism “Slovenia – the motorhome travellers-friendly country” will be held. 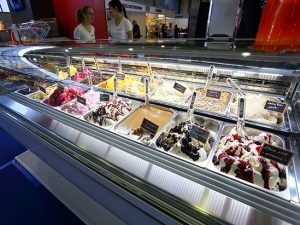 The Fair of Tastes – GASTexpo, organized by the Primorski Sejem in cooperation with exhibitors and recognized experts, is considered to be the leading professional fair in the region of the HO-RE-CA (Gastronomy, Beverage, Coffee, Confectionery, Bakery, Catering – Hospitality Equipment & Ice Cream & Wine). The fair is visited by 12,000 visitors, mostly businessmen from Slovenia and abroad. Among other things, about 300 home and foreign exhibitors from more than 20 countries will be presenting the latest trends and technological innovations. Special emphasis will be given to educational workshops and contests, visitors will get practical knowledge and advice in baking pizza, preparing ice cream and bar drinks, choosing beer, etc. This year’s novelty are the workshops in the preparation of the dairy cream of the Latte Art “father”, Mr. Luigi Lupi, together with other world-renowned and established masters from Italy.